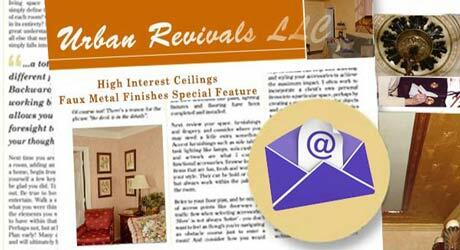 Urban Revivals presents project photos for Venetian plaster and thickly applied faux plaster finishes. 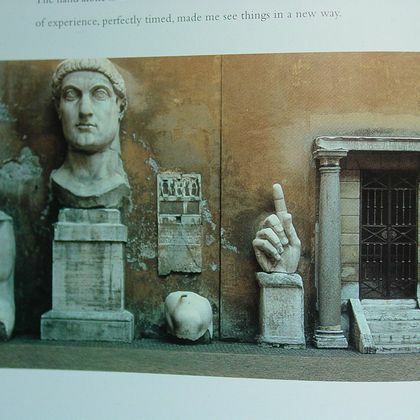 The venetian plaster techniques is ideal of Victorian Pompeian decor schemes, consisting of terracotta (primarily below chairrail height) with white or grey plaster above, aged to give the sense of exposure to the elements. This is a trowel based techniques that applies plaster over a base coat. The plaster may itself be tinted and of the consistency of a thick glaze. 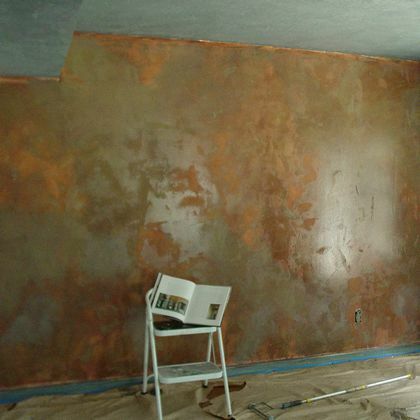 An alternate (cheaper) method involves using joint compound over a base coat, and waxing some portions of the base coat so that the plaster compound may be intentionally distressed. The finished wall is then colorwashed one or more times. A seal coat of satin sheen is generally applied. 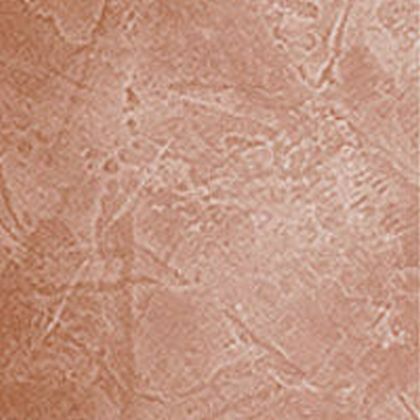 The desire for this finish is inspired from travels to Greece, Italy, and Mediterranean ports of call, where the classic terracotta and cream decor may be observed. 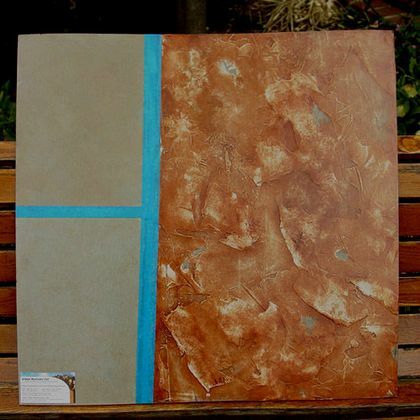 Before any such plaster project it is essential to make multiple sample boards, so you are assured you can repeatedly create the texture and color you want. This is a very bold finish. 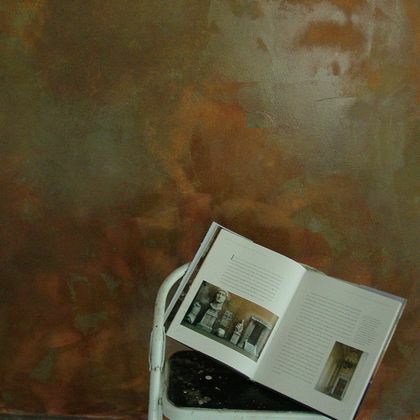 In general, we only recommend that one wall in a room have such a finish, unless the room is largely lit with interior light and used for artistic purpose. Always work down from the top. 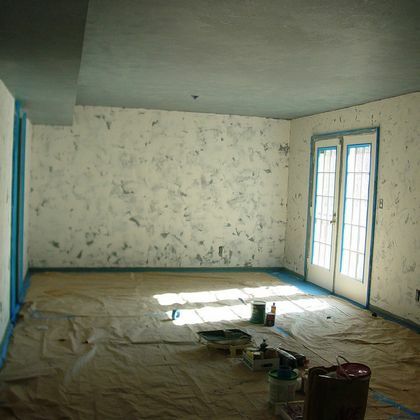 A faux blue marbled ceiling with a speckled sparkling finish (much like stars at night) was painted fir, by Urban revivals. After that, the base coat of plaster was applied. The real challenge on these finishes it to determine how best to smooth out the finish so it looks like a true aged wall. This can be accomplished by multiple color washes, or by successfully thinner and lighter (or darker) glaze coats. Even rag rolling can be used at the end to slightly beldn the final top coats. The work should then be sealed in a matte or satin top coat, multiple times, to ensure even reflectivity.